The three column method guides them to correctly study the words independently. The student can sound the word out using dictionary pronunciation. This is familiar to the students. It is easier to read the word than spell it. 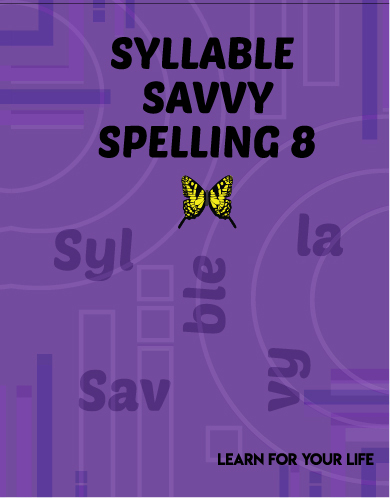 Students self-check their work syllable by syllable. No moving on until each is correct. 1st Day: The parent and student review the three columns of words. Days 2 through 4: The student independently practices the words, writing them on the work page. Day 5: Watch their spelling test scores soar. 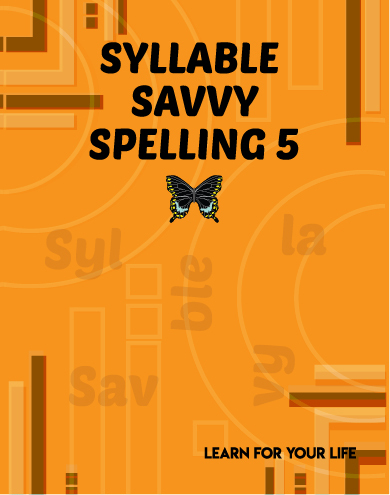 More information on HOW TO TEACH with Syllable Savvy Spelling. We have FREE downloads of the first lesson for grades three to eight. See for yourself how the three-column-method works. 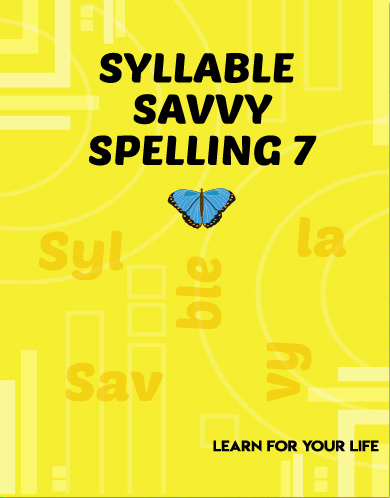 In addition, each page lists several lists of words from different lessons throughout the one year curriculum to give you an idea of the words studied. The Instructor's Guide comes with each book so there are NO additional materials to buy. 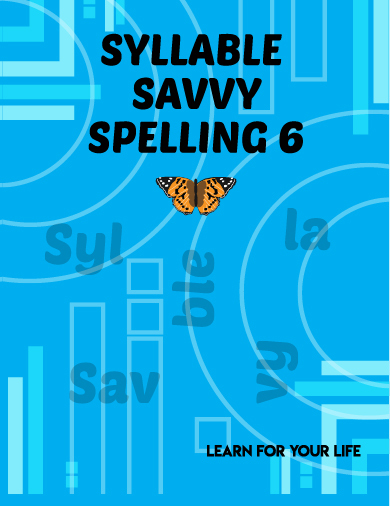 You can download a copy of the Syllable Savvy Spelling Instructor's Guide. Follow this link to find the download. Perhaps you will understand how this works better if you see it in action with a hard word. 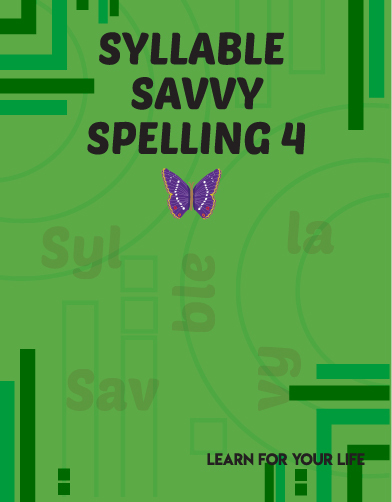 Watch how Syllable Savvy can Improve Spelling with hard words.